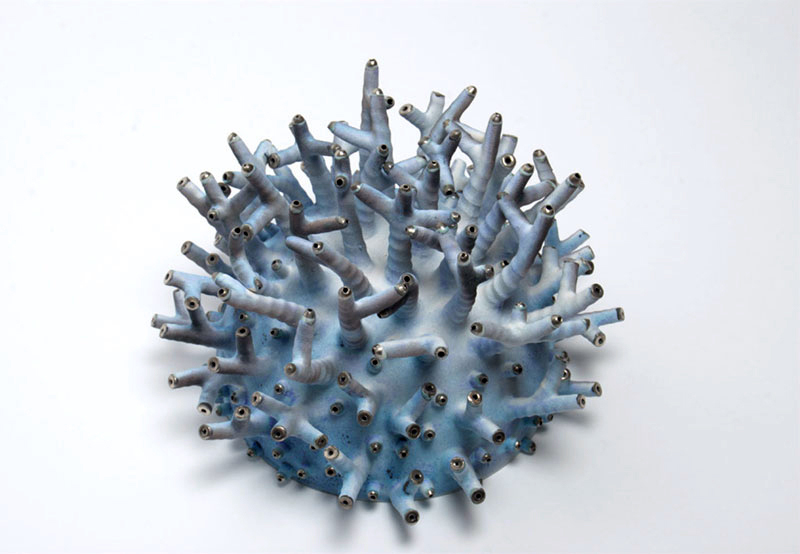 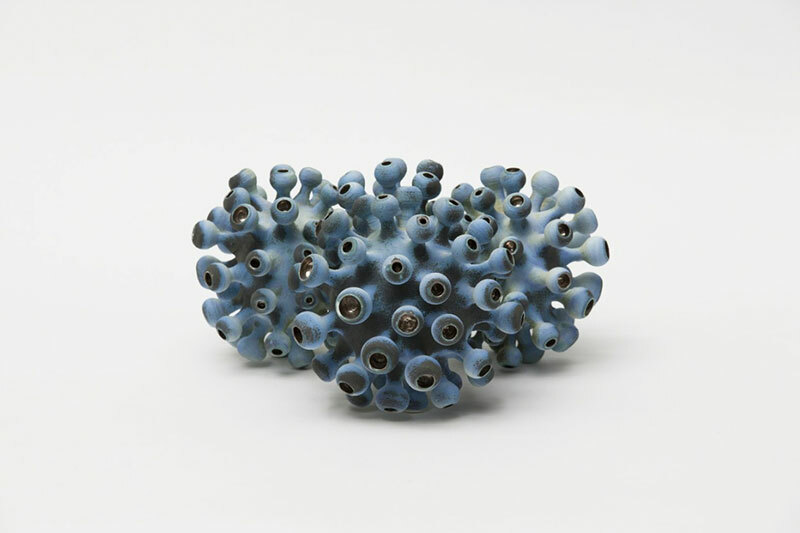 Ceramic sculptures inspired by botanical and biological specimens by Swedish artist Eva Zethraeus. 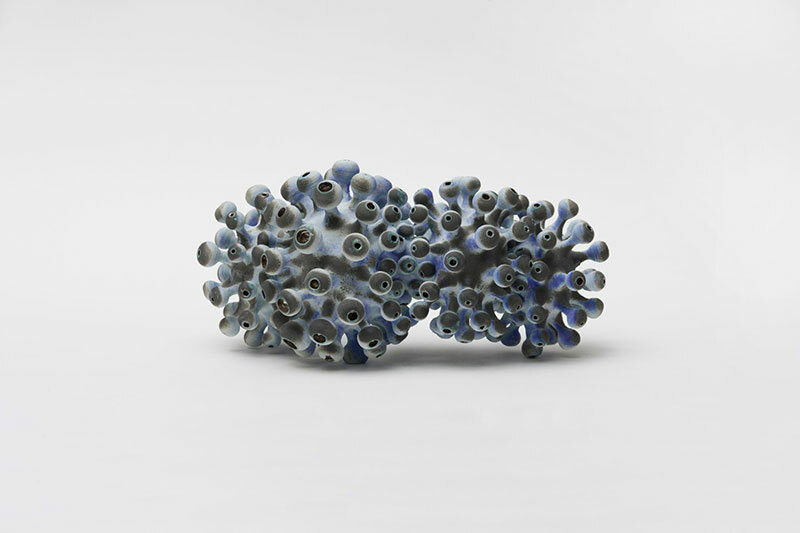 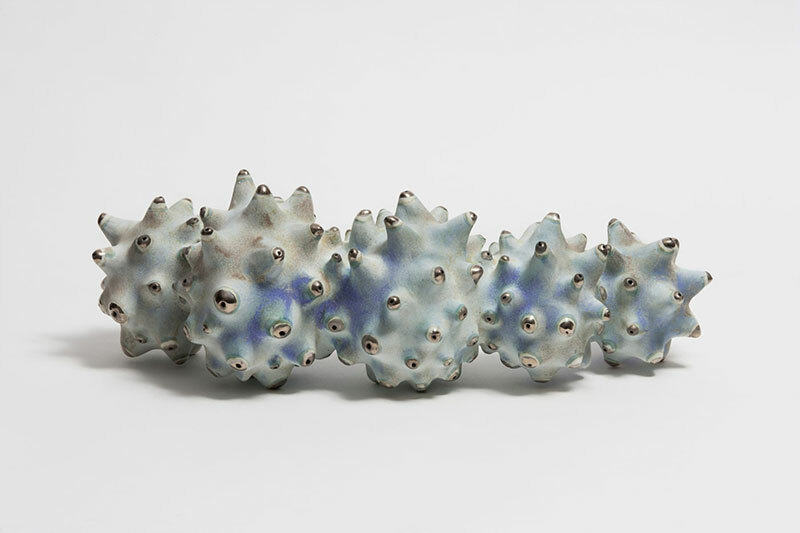 She refers to these sculptures as "landscapes in porcelain" influenced by her artist residencies in Japan which have affected her outlook towards the environment and made her senses "receptive to the powerful energy that exists in Japanese contemplative gardens." 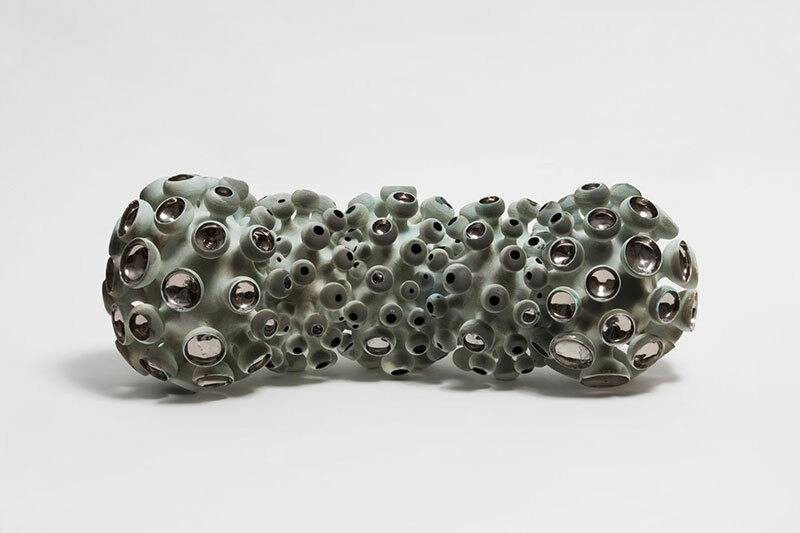 Using line, form and movement, Zethraeus examines and searches for ways to mould that energy that exists in the diversity of the small garden which she describes as "the vast billowing landscape that continues beyond the horizon and the secret, inaccessible landscape beneath the surface of the water." 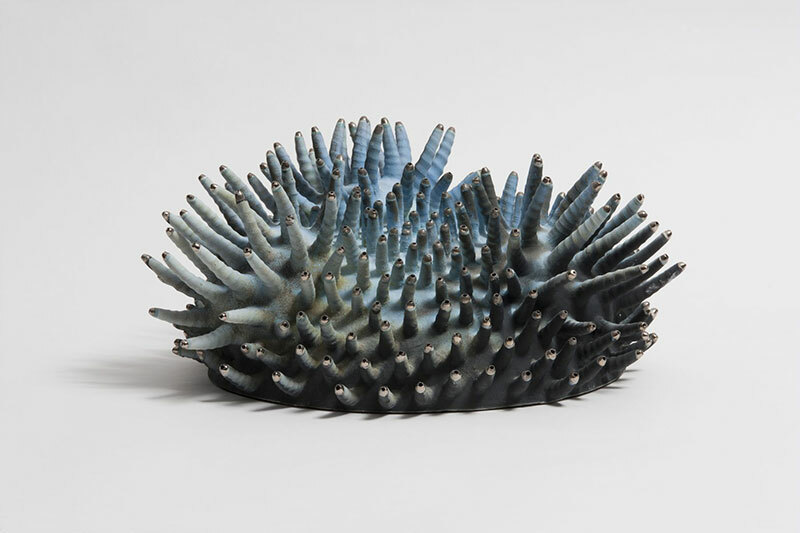 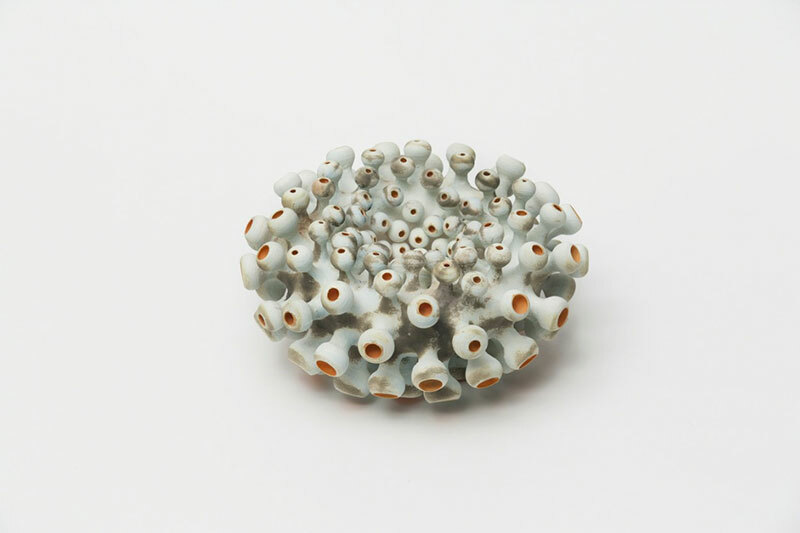 Underwater landscapes, corals and urchins, flowing surfaces of growth in frozen motion portray the slow ceramic process which is necessary for contemplation and new approaches. 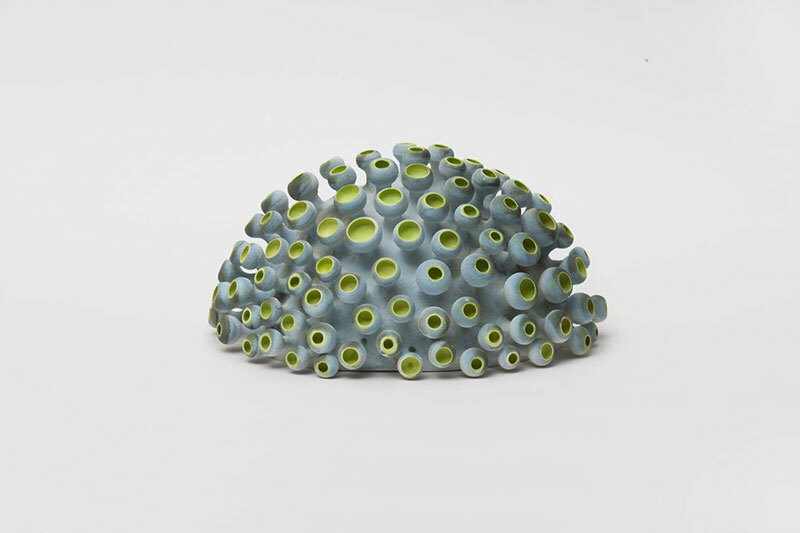 Porcelain landscapes, fragments of nature, hills, depths, outgrowths, openings and shadows can be seen or felt. 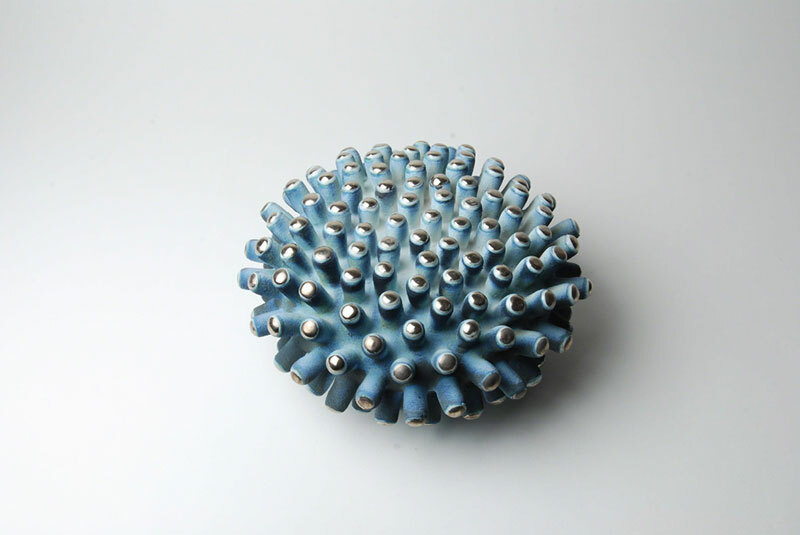 The plasticity of the porcelain clay and the opportunities of expression it yields, fascinate me. 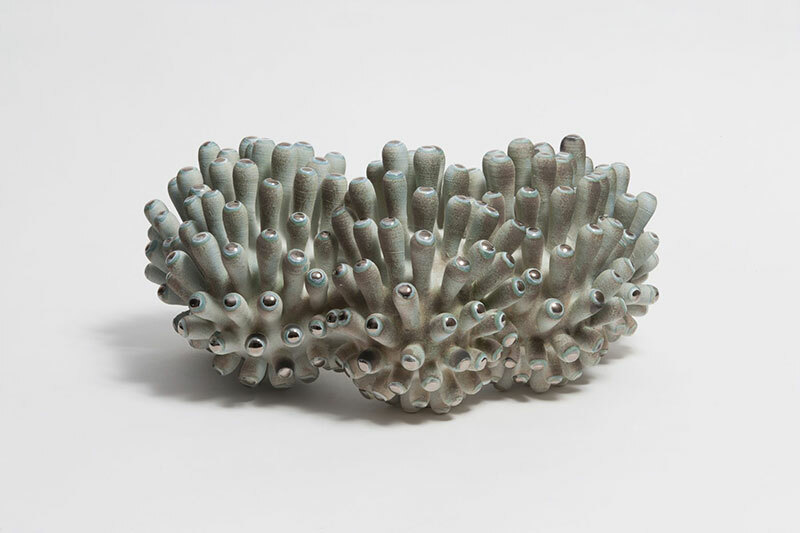 The firm but delicate porcelain has an inner strength that intices me to capture organic motion, the bubbling of life, caught in a fragment of a second. 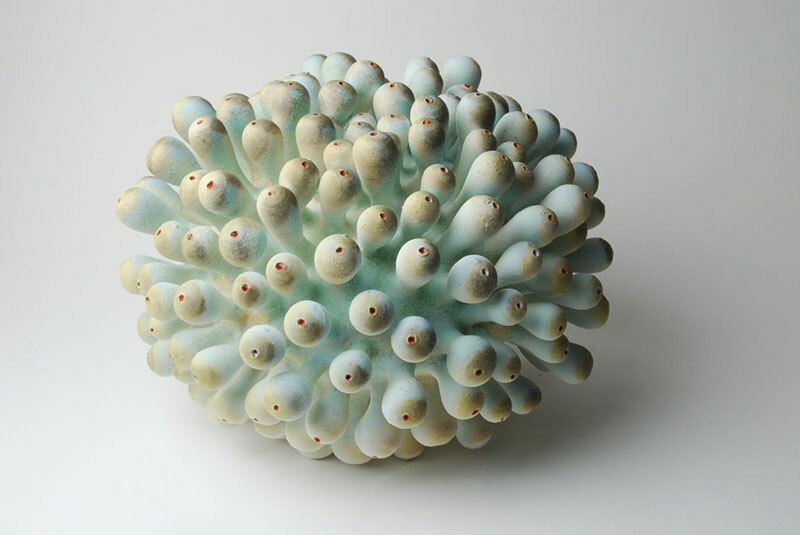 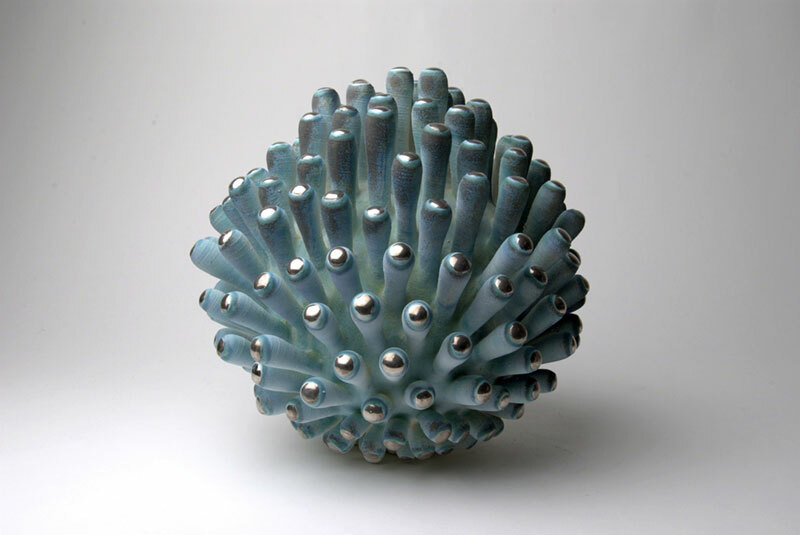 Ceramic sculptures inspired by botanical and biological specimens by Swedish artist Eva Zethraeus.